Toyota introduced redesigned model of Avalon in 2011 which was more efficient and stylish, now its 2012 model is equally stunning and stylish and presents distinctive combination of enough space and superb luxury. 2012 Toyota Avalon is the true blend of performance oriented features and improved fuel economy. Let’s look into details of its exterior, interior, safety features and powertrain. 2012 Toyota Avalon reflects the elegance from its exterior, a broad and extensive grille ties into projector headlamps which combines with wide hood to focus on wide stance of Avalon. Headlamps mingle with multi-reflector halogen high beams with halogen or HID low beams and employs light pipes to produce night-like looks. Broad illumination is presented by front fog lamps which incorporate into trapezoidal front bumper. Side view mirrors which are glare proof consist of incorporated turn signals. Limited grade has 17 inches wheel along with 10-spoke design, taillights has been redesigned to minimize the turbulence in the back side as well as assist the vehicle in reducing coefficient of drag of car. Improved stylish looks are added by the LED light pipes and red lenses projectors. 2012 Toyota Avalon displays fashionable style from the inner side, its interior is quite spacious and offers enough room for passengers as well as efficient cargo space. Seats are very comfortable and provide ease to passengers and driver on the road. 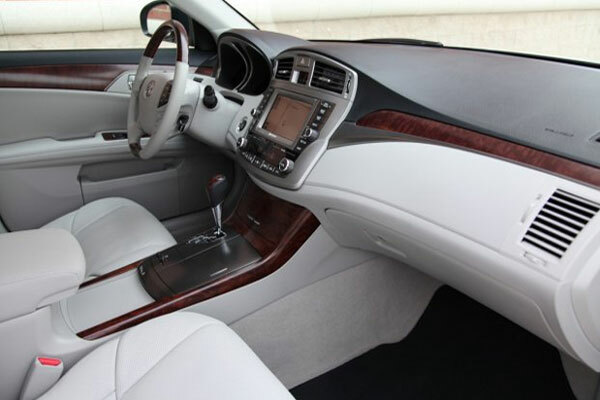 Wood grain style material has made its interior more stylish looking. Instrument panel integrates with appealing and conveniently readable Optitron gauges which employs white light with white pointers which are fixed inside smoked lenses and chrome rings which adds luxury and depth in the interior of Avalon. Other interior features which offer comfort to the passenger are; dual-zone climate control system and clean air filter. Doors of the vehicle employs 3 stop positions to offer ease of entry and exit and Leather trimmed front seats are standard on all the models. 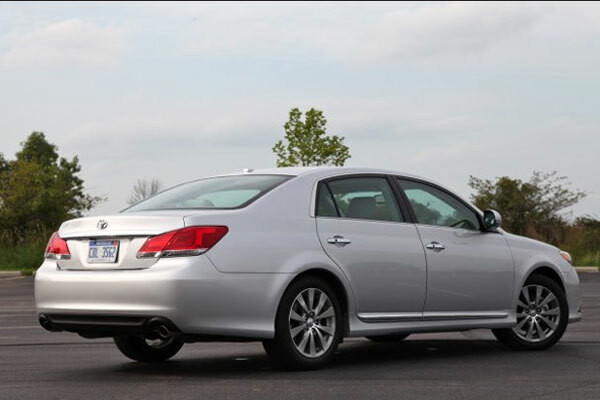 2012 Toyota Avalon is equipped with several safety features which provide enhanced safety to the passenger and driver. Toyota has employed full on safety strategy in the overall structure of Avalon with the help of energy absorbing structure. A part from this, shielded side impact beams, overhead structure, improved belt systems and active front headrest are among the standard safety features. Other standard safety features include; seven airbags, Vehicle Stability Control, Anti-lock braking system, Electronic Brake Force Distribution, Brake Assist and much more. 2012 Toyota Avalon consist of several Technological features which includes Bluetooth Hands free phone, technology for music streaming, Satellite radio capability (SiriusXM), DVD Navigation System, Nine Speaker audio system, Rear view monitor and much more. 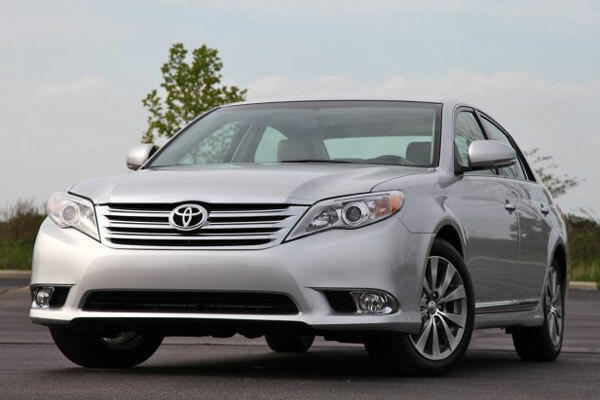 2012 Toyota Avalon is powered by 3.5L V6 engine which produces 268HP and torque of 248 lb-ft. This powerful engine is made stronger by the double VVT-i electronic valve control system. A part from this, 6-speed automatic transmission offers improved driving experience and helps the driver to achieve the maximum fuel economy. EPA rating of 2012 Toyota Avalon is 26MPG in the city and 29MPG on the highway, Avalon is eco-friendly as well and it has been assured by the certificate of ULEV (Ultra Low Emission Vehicle). Nine Colors are available in exterior of 2012 Toyota Avalon i.e. Zephyr Blue Metallic, Cypress Pearl, Sizzling Crimson Mica, Cocoa Bean Metallic, Blizzard Pearl, Classic Silver Metallic, Magnetic Gray Metallic, Black, and Sandy Beach Metallic. Three leather trimmed interior colors are available in 2012 Toyota Avalon i.e. Black, Light Gray and Ivory.